Born & raised in Sydney, Australia, Craig started playing music in his mid teens. After having piano lessons for about a year, & with the help of friends and a chord dictionary, Craig taught himself to play guitar well enough to be able to start playing and accompanying himself at school & vacation camps. Many hours were spent jamming with friends in his parent’s garage on weekends and this led to the formation of a couple of bands and ultimately his first official public performances. It was probably his liking for the more melodic styles that guided him in the early years. The west coast sound of the mid to late seventies played a major part in shaping Craig’s musical direction. 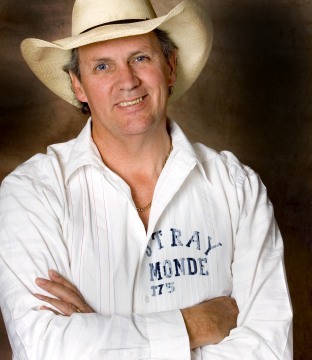 Over the years Craig has also developed a great love for swing, blues and rockabilly, all of which have a very definite connection to country music as we know it today. At this point in time, Craig was still far from being a country player in the true sense of the word and was still frustrated at not being able to find where he really wanted to be musically. In both his recordings & his live performances you will be treated to everything from tender ballads to straight down the middle country and on to a healthy mix of toe tapping swing & contemporary country songs. Over the years Craig has won many awards as a vocalist and had a considerable amount of success with his song writing. Craig has released six CD’s to date, the latest being “Famous Last Words” which includes some of Craig’s own works as well as material from some of the best Australian & overseas writers. Craig has traveled extensively within Australia and in more recent years has also made several trips to a number of festivals in New Zealand. A regular at major festivals such as Tamworth & Mildura, Craig plans to extend his touring schedule to include the U.S., England & Europe where he has had a good deal of success with singles from his earlier albums.